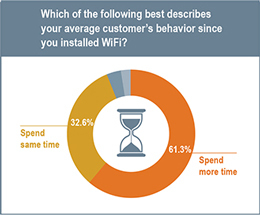 Almost two-thirds (62 percent) of respondents said that customers spent more time on their premises since Wi-Fi was introduced. 50 percent said that this resulted in customers spending more money with just 0.1 percent reporting any reduction in customer spend. The survey, carried out by iGR on behalf of Devicescape, the company that has created a massive network of high-quality hotspots from machine learning and crowdsourcing technologies, polled a range of business types such as bars, coffee shops and restaurants, book shops, clothing boutiques and salons. 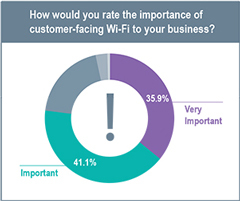 More than three-quarters of respondents (77 percent) rated customer-facing Wi-Fi as “important” or “very important” to their business. Many described it as a competitive requirement. 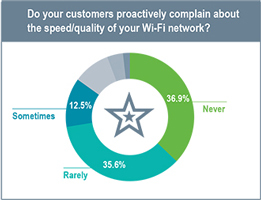 The survey also showed that consumers are increasingly aware of connection quality and speed over complimentary Wi-Fi. 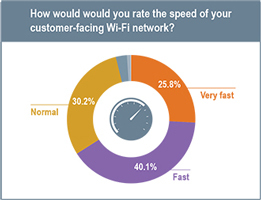 When asked about the performance of their Wi-Fi networks, 66 percent of respondents said their customers rated the speed as “fast” or “very fast.” Almost three-quarters of those surveyed (73 percent) said they “never” or “rarely” received customer complaints about the speed or quality of their Wi-Fi connection. 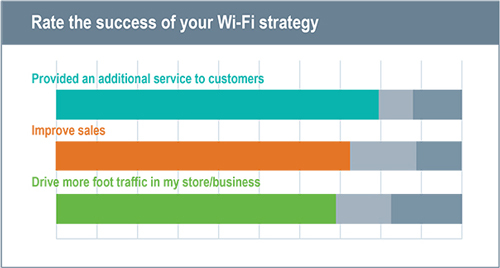 The U.S. Retail Wi-Fi Survey was conducted by iGR and published in June 2014. 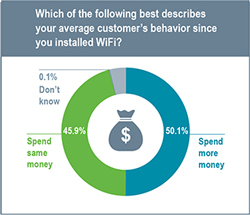 The Web-based survey, commissioned by Devicescape, was fielded among U.S.-based small businesses in multiple retail industries between February 10, 2014 and February 18, 2014. The total sample size was 400 decision-makers at small businesses (independent / “mom and pop” retail stores only) in numerous segments including: bars, nightclubs, restaurants, fast food establisment, coffee shops, clothing boutiques, books shops and salons. Note that the survey data in this press release and in iGR’s report was weighted against firm-level data obtained from the Statistics of U.S. Businesses.